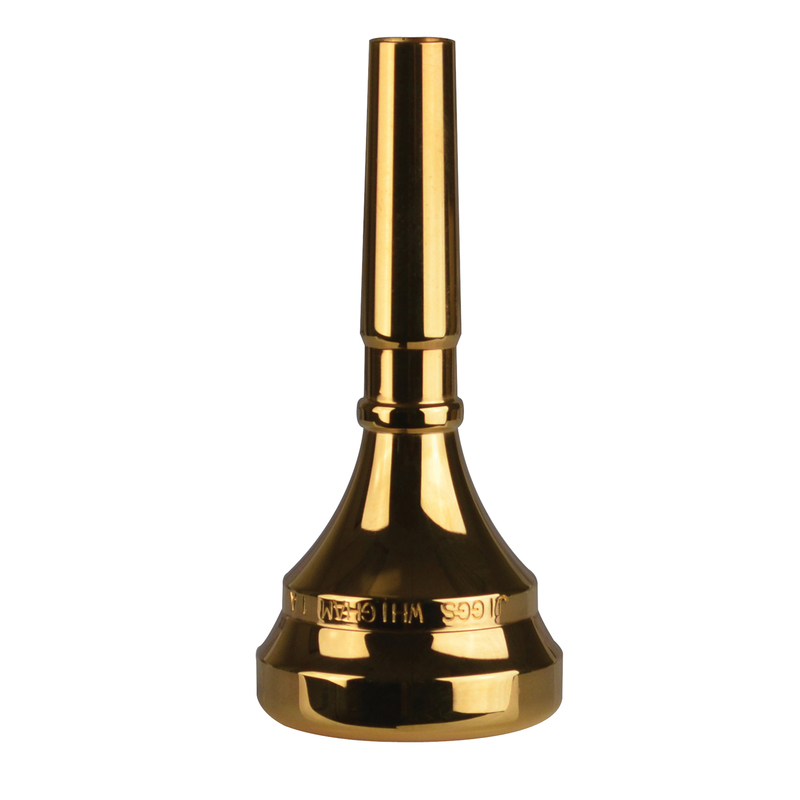 Conn Jiggs Whigham Trombone Gold Plated Mouthpiece. Cup size: standard, cup depth: medium, cup diameter: medium, cup diameter: medium wide, Rim shape: Designed by Jiggs Whigham. Super jazz model for upper register work. Produces a full, rich tone.